PDF stands for Portable Document File format. This file format was introduced to ease the sharing of important documents between computers and across operating system platforms. This PDF file format allows the user to exchange important documents reliably, independent of the software, hardware, or operating system. The PDF file can also be used to store the confidential data. The best way to secure your confidential information is to add password protection. But sometimes the user wants to know how do I unlock a PDF file on a Mac PC to remove password protection from PDF files. So that they can be easily viewed by everyone. 2. Owner Level – It requires a users password to unlock the PDF document. 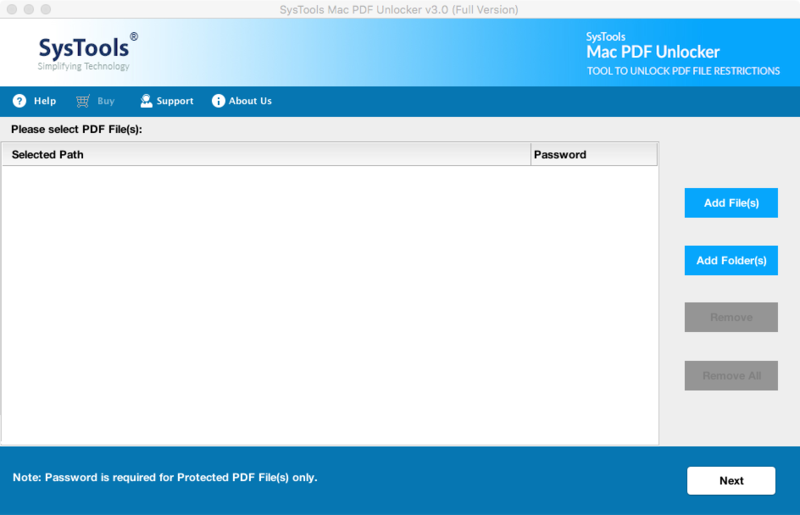 This allows to edit, copy text and images and print a password protected PDF documents. PDF file owner has the power to restrict others to view or copy the content of a PDF file. Why Does The user want to Remove Password Restrictions from PDF Document? 1. If the user wants to view the PDF documents encrypted with passwords. For this, The user has to enter the password of PDF file every time. In such situations, users want to remove the password restrictions to save itself from inconvenience. 2. Secured PDF files do not allow the user to copy the content in PDF file. So copying the content manually is a time-consuming process. 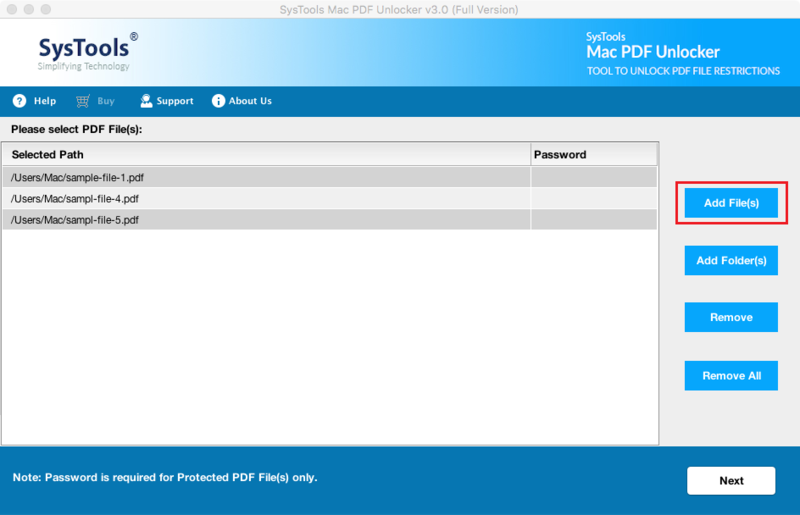 So the need to know how do I unlock a PDF file on a Mac machine arises. The user can remove the password from PDF file manually by using the Preview. For this, the user has to follow the given instructions. 1. Just right-click on the PDF file you want to unlock. 2. Choose “Open with” Followed by “Preview”. 3. Now the user has to type the password and press enter. 4. Once the file is opened. Now click on the File menu followed by Save. 6. Make sure to unchecked the encrypt option before saving the PDF document. 7. Now just click on Save button to PDF file. The above discussed manual method to know how to unlock a secured PDF file Mac PC has some major limitations like it require strong technical skills to perform this process. Also if the user wants to remove password restriction from bulk PDF file then it will take a huge amount of time. So, in that case, the user can take the help of expert solution. 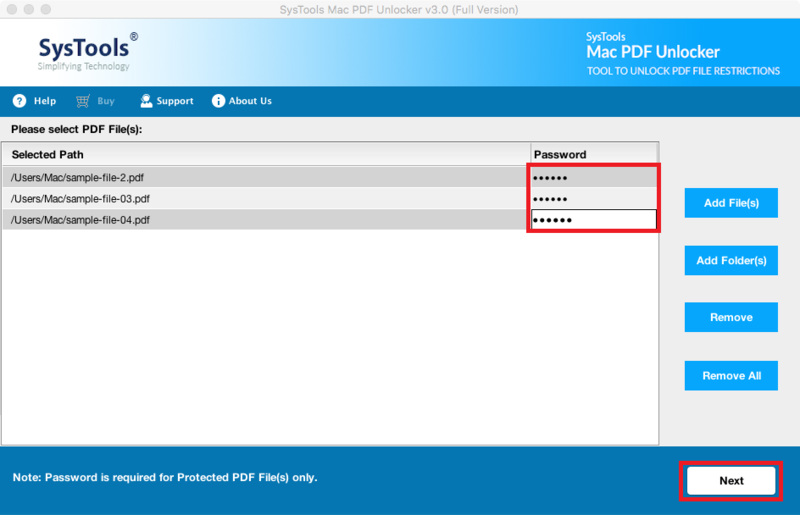 To overcome the limitations of the Manual method the user can take the help of PDF Password Unlocker Mac. This software gives the option to remove the password restrictions from multiple PDF files. By using this utility the user can remove the Owner and known user level password security easily. Adobe Acrobat is not required to remove the password restriction. This software is compatible with Mac OS 10.8 and above versions. Note: If you want to remove Document Restrictions From PDF Without Password using windows version. 1. Download and Install Software in Mac PC. 2. Now click on Add file or Add folders button to add the PDF files. 3. After adding the PDF files and the user has to enter the password and click on Next. 4. Click on the Unlock button to remove the Password restrictions. 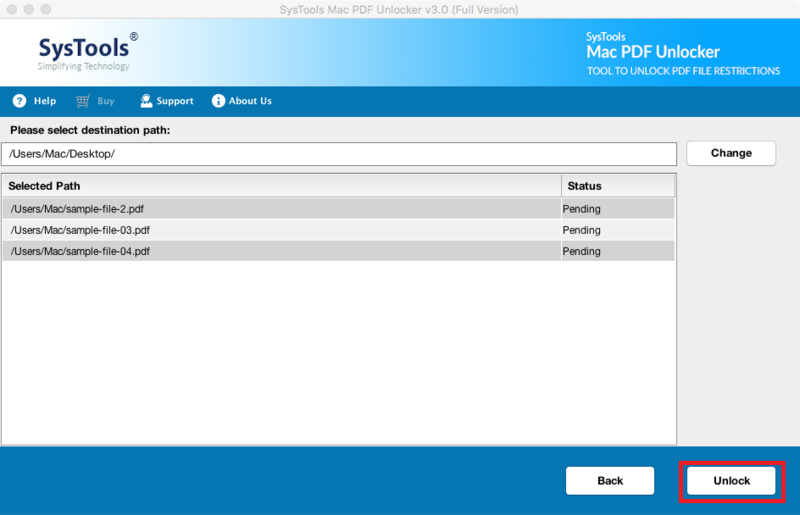 Considering the issue faced by many users “How do I Unlock a PDF File on a Mac System. In this article, we have given the reasons why the users want to remove password protection from PDF files. We have given the solution to this problem with the help of manual and automated solution. But the manual method has some limitations so to avoid all limitations the user can take the help of automated solution.